This unlikely combination of women has more in common than meets the eye: Each plays a role (whether consciously or not) in inspiring confidence in young girls to pursue their career ambitions, no matter how big. There are dozens of other female leaders who do so much each day to empower young women, yet according to a recent study, one pop culture icon is not likely to make the cut: Barbie. A recent study coming out of Oregon State University suggests that little girls playing with Barbie “believe there are more careers for boys than for themselves” — a contrast from girls playing with Mrs. Potato Head, who see an equal range of career opportunities for girls and boys. Of course, more research on this topic is needed in order fully to understand the impact of dolls on girls’ aspirations, but one key takeaway is that we must inspire confidence in girls so they don’t hesitate to think “big” and think beyond the stereotypes that hold them back. 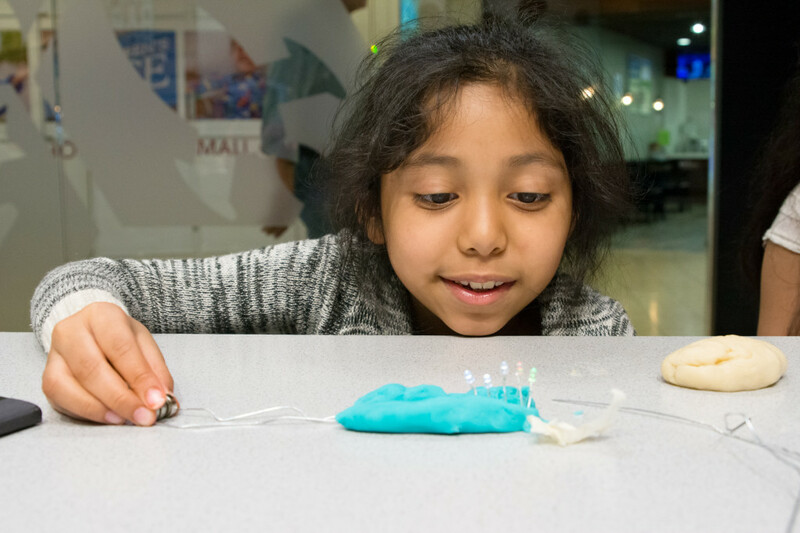 We can do this not only through the toys we buy for our children, but also through the stories we tell, and the activities in which we participate. 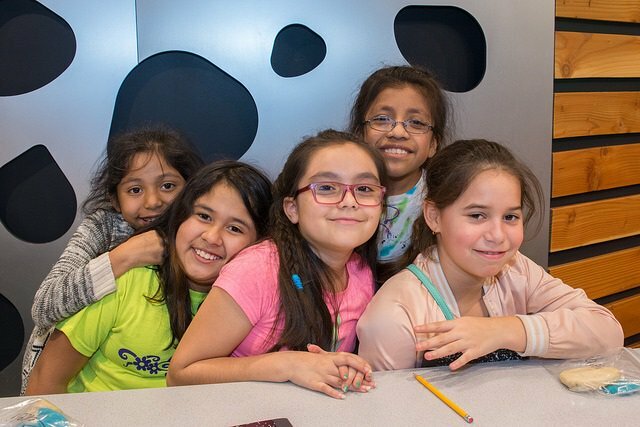 For several Catalogue for Philanthropy charities, such as Girls on the Run (DC and Montgomery County) and The Washington School for Girls, inspiring confidence in girls is a central part of their mission. Find out below how you can show your support, and stay tuned to the Catalogue for Philanthropy blog this month as we celebrate Women’s History Month by highlighting other important women’s issues that are a key focus for some of our charities. 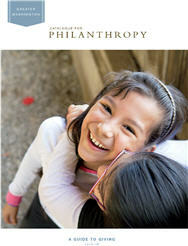 The Catalogue for Philanthropy is proud to have two local Girls on the Run Councils in our network of charities. Using the sport of running as basis for inspiration and motivation, GOTR program participants meet twice per week in small teams where they learn life skills while celebrating the joy of movement. At each season’s conclusion, participants complete a 5k running event, giving them a tangible sense of achievement as well as a framework for setting and achieving life goals. Girls on the Run — DC: GOTR-DC has a variety of volunteer opportunities available, from one-time volunteer opportunities to coaching for a 10-week season. GOTR-DC is currently looking for volunteers for the GW Classic 10 Miler on April 13th, and is also taking names for those interested in coaching for the Fall 2014 season. Girls on the Run of Montgomery County is also looking for coaches and one-time volunteers. Check out the volunteer page for more detail on specific needs. Interested in supporting with a donation? $100 will cover a full scholarship for 1 season; $500: running shoes for one team of 15 girls; $1000: race fees for 75 parents to run alongside their daughters. Also, don’t forget about SoleMates, which lets you run a marathon or a triathlon while raising money for MoCo’s Girls on the Run Council. The Washington School for Girls is an all-girl, grades 4-8, Catholic school located in Anacostia. Its mission is to offer a solid and holistic education to young girls, and it is committed to believing in their gifts, talents and potential. 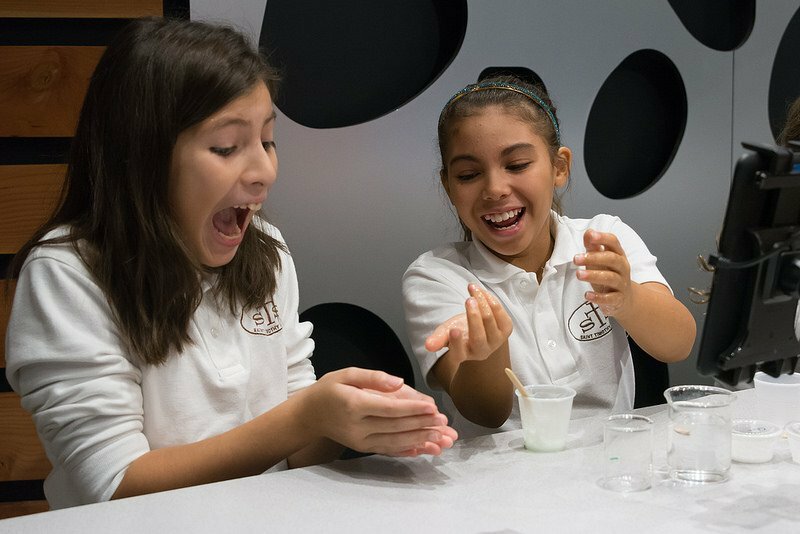 WSG offers a range of volunteer opportunities: from one-time visits – where volunteers participate in a career fair, leadership series presentation or fundraising event – to weekly tutoring, hosting student clubs during Extended Day and office support. Interested in supporting with a donation? $100 covers 10 books for the Reading Circle; $500: 1 laptop for a WMSG teacher; $1000: transportation for 3 field trips for 1 class. We hope you’ll support these wonderful organizations and their missions to empower girls in our region! Today’s post comes from Girls on the Run – DC whose program teaches over 2,000 girls in DC’s eight wards about self-esteem and healthy living through running. This is one of many stories that parents of Girls on the Run DC participants can tell. Girls on the Run DC is an afterschool program that inspires girls to be joyful, healthy and confident using a fun, experience-based curriculum which creatively integrates running. The program takes place over the course of 10 weeks and concludes with a 5k event to celebrate the hard work and accomplishments of the girls in the program. Our volunteer coaches are the key ingredient to our success as an organization. Volunteer coaches empower girls to appreciate who they are and encourage them to take on a healthy lifestyle. They are what make the program happen- a role that is a blend of teacher, mentor, and friend. Each practice session offers a lesson on topics that include peer pressure, self-esteem, cooperation, and more. In addition to running during practice, the girls are asked to give a thoughtful reflection to the topic of the day. At the end of the program, each team creates and completes a community service project. This Fall season Girls on the Run DC is in more than 50 schools and has over 70 Girls on the Run teams. Each year we serve over 2,000 girls in the DC metropolitan area. Approximately 60% of our sites receive scholarships, and we, as an organization, fundraise on their behalf. We rely on volunteers to assist with many different aspects of our organization. We need over 200 volunteers to make our November 24th race day possible. If you would like to help out with Girls on the Run 5K as a race day volunteer please sign up on our website: http://www.gotrdc.org/get-involved/volunteer. 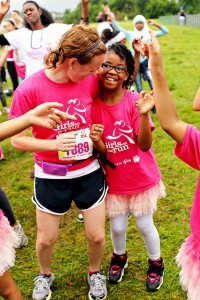 Find out more about Girls on the Run DC at our website, or Like us on Facebook! This week, Sara Blakely made philanthropy headlines by becoming the first female billionaire to sign the Giving Pledge – a commitment by the world’s wealthiest individuals to give a majority of their wealth to charity. It seems fitting that the first woman joins this elite group the week before Mother’s Day – a time of year to think about the important women and female role models in our lives. While eight other philanthropists also signed the Pledge this week, Blakely received the most attention – and not just for signing the pledge. It was only in March of last year that Blakely joined the elite group of global billionaires – as well as an even smaller group of self-made female billionaires. (Only 2% of billionaires across the world who are women, the majority of whom inherited their wealth.) With those odds, it’s an achievement indeed that even one sits among the wealthiest individuals who have joined the Pledge and made a life-long commitment to philanthropy. In reading Blakely’s pledge letter, I was inspired by the way that she recognized her privilege as a woman born into a country where girls can aspire to any career choice and have the freedom to pursue it. This is not the case in many countries around the world. I have so much gratitude for being a woman in America. I never lose sight that I was born in the right country, at the right time. And, I never lose sight of the fact that there are millions of women around the world who are not dealt the same deck of cards upon their birth. Simply because of their gender, they are not given the same chance that I had to create my own success and follow my dreams. It it for those women that I make this pledge. I was also inspired by her dedication to philanthropy since founding Spanx and focuses on the empowerment of women and girls across the globe. I am committed to the belief that we would all be in a much better place if half the human race (women) were empowered to prosper, invent, be educated, start their own businesses, run for office – essentially be given the chance to soar! I pledge to invest in women because I believe it offers one of the greatest returns on investment. While many of the world’s natural resources are being depleted, one is waiting to be unleashed – women. Women Thrive Worldwide advocates for programs that free women from poverty and violence. District Alliance for Safe Housing (DASH) provides safe housing to survivors of domestic and sexual abuse. FAIR Girls is a girls’ empowerment organization keeping girls safe from exploitation. The Women’s Collective supports girls, women, families infected and affected by HIV/AIDS. Girls on the Run (DC and Montgomery County) teaches girls self-esteem and healthy living through running.